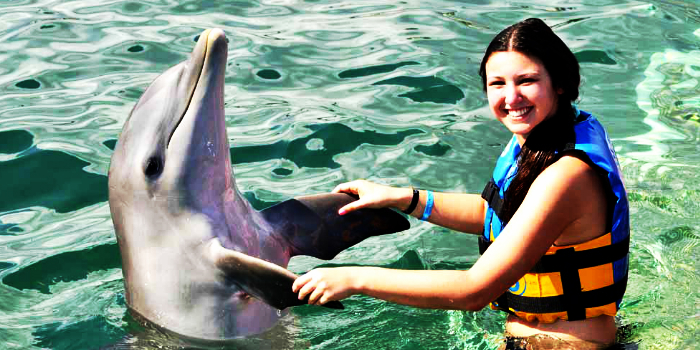 Experience this fabulous once-in-a-lifetime activity at top-notch Dolphin Center on the shores of Banderas Bay in the resort destination of Puerto Vallarta. You will be able to personally interact with members of our Dolphin family. 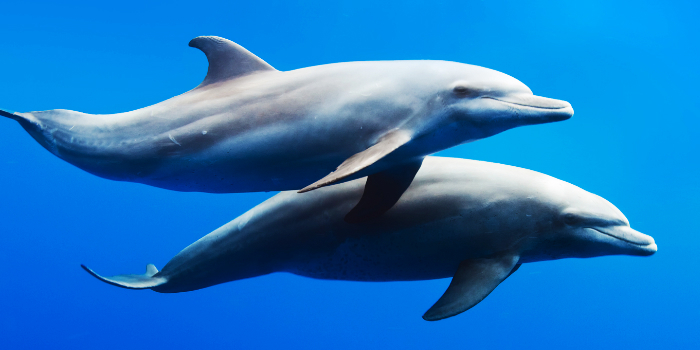 More than twenty-five Pacific Bottlenose Dolphins reside in our Nuevo Vallarta compound. After participating in this activity, you will forever hold a place in your heart for these incredible aquatic creatures. The tour begins with a brief informational presentation about the Pacific Bottlenose Dolphin. During our orientation, participants will be instructed all about our resident dolphins. You will learn about dolphin anatomy, social structure and interaction, diet, habitat, and migration patterns. You will also be instructed on how to interact with theses amazing cetaceans in order to ensure that you will enjoy your close-up experience. Our bilingual trainers will instruct you on how to communicate with the dolphins via hand signals. You can also as the dolphin to perform acrobatic tricks by using non-verbal communication. You will learn how to influence animal behavior through positive reinforcement. You can utilize the theory of these behavioral techniques on your family dog when you return home from your vacation. After your orientation, you will head over to the dolphin environment in a group limited to a maximum of eight swimmers. These tour groups are limited in order to maximize individual contact with the dolphins for each participant. You will then have the chance to swim with these creatures in their natural habitat. These extremely smart, highly-friendly cetaceans enjoy interacting through touch and play. Once you enter the water with them, you will have the opportunity to embrace them in a hug, pet their tummies, swim with them, and even receive a wet dolphin kiss. We have a limited number of participants during our dolphin activities, so in order to assure your place we suggest your reservation in advance, especially if you plan to visit us during the high vacation season. What are the minimum ages for the different Dolphin Programs? For the Signature Swim, children must be a minimum of 5 years old. Any child age 12 years pays adult ticket price. For the Swim Experience, children must be a minimum of 5 years old. Any child age 12 years and over pays adult ticket price. 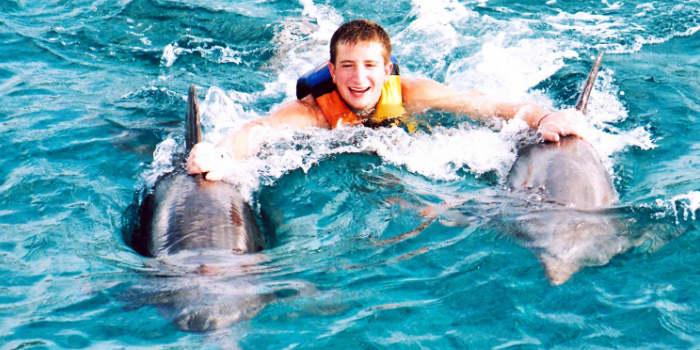 For the Dolphin Encounter, all children under 10 must be accompanied by a paying adult. In the Family Encounter, parents may hold children aged 1 to 3 years, free of charge with each paid adult/parent or guardian over 16 years of age. Any child age 12 years and over pays adult ticket price. 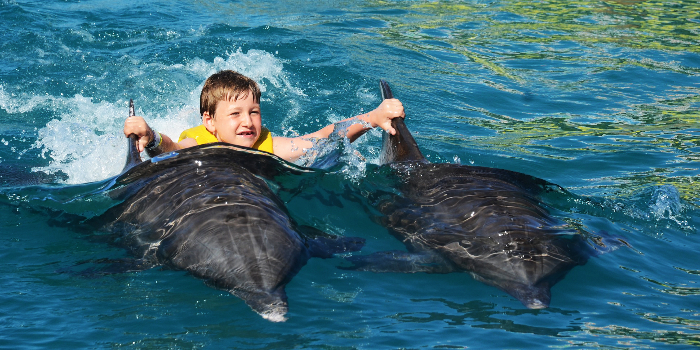 The Dolphin Kids Program is specially designed for children ages 4 to 9 years old. For the Sea Lion Encounter, children must be a minimum of 5 years old and 4. 5 feet tall. Any child age 12 years and over pays adult ticket price. How do you care for your dolphins? At our Dolphin Centers, we utilize a program of preventative health care, including daily health assessments, regular voluntary veterinary examinations and dietary needs assessments for each dolphin. We continually provide an exceptionally clean and stimulating environment for them to live and thrive in, while providing a safe and stable setting for their social community (pods) and family to reproduce and grow.Our dolphins have exhibited a particularly high level of good health. 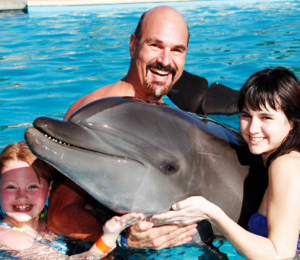 I have been to the Bahamas many times, but Dolphin Swim Experience is one of my favorite trips! It includes everything that everyone should do here. As a Bahamas veteran, I can say only the best about this experience!